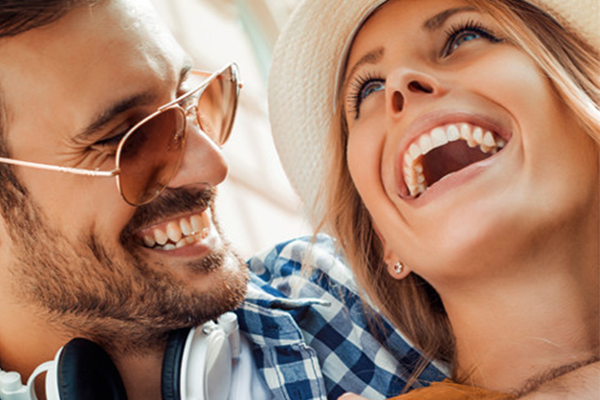 Invisalign is an extremely popular orthodontic method for patients in and around the Shrewsbury area who are interested in learning about alternatives to conventional braces. Braces are traditionally metal brackets glued onto the front surface of the teeth and connected with special wires meant to pull the teeth into more desirable positions. When this is done, over the course of time, the teeth are straightened and the dental arch appears better aligned. Dr. Levenson understands that there are situations in which traditional braces are best, especially when patients are dealing with severe misalignment or overcrowding issues-which may even require the extraction of natural teeth. However, when patients are appropriate candidates for Invisalign, they often choose this method of orthodontia over conventional means. Invisalign works by using clear aligner trays which gently reposition the teeth into their new positions over the course of several weeks. An entire series of trays is fabricated at the beginning of treatment, and each tray is worn for approximately two weeks before the next one is used. This allows for low force adjustments for optimum results and can often be done in a shorter period of time than realignment with traditional braces. Patients must be deemed appropriate candidates for Invisalign therapy. This is done during an initial consultation visit with Dr. Levenson during which an examination and x-rays are completed. This can help decide if patients can benefit from this particular orthodontic treatment. Invisalign is not for everyone, so it is important that patients who are considering the treatment discuss the advantages and disadvantages with a quality dentist while also determining if they are a viable candidate to see results. Invisalign is an affordable, attractive alternative to conventional braces and many teenagers and adults consider it when faced with the idea of straightening their smile. Dr. Levenson of Levenson Smile has used Invisalign for many patients to make a dramatic difference in their appearance without having to see a separate orthodontic specialist. Contact his team today to learn about Invisalign and whether or not it is appropriate for your specific dental needs.